Jiwon received her B.S. and M.S in biochemistry from Yonsei University, Seoul in South Korea. Her Master’s work focused on the regulation Cullin E3 ubiquitin ligase in mammalian cells. During her PhD studies with Dr. Rob Kalejta at University of Wisconsin-Madison, her research focused on the mechanisms that mediate viral gene activation during human cytomegalovirus infection as related to ubiquitin/SUMO pathways (2005-2011). 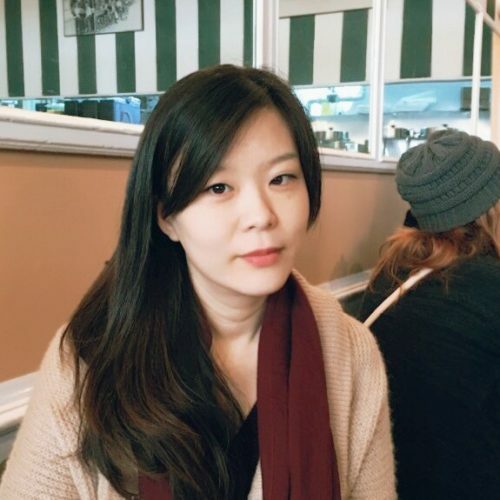 For her postdoctoral training, she continued to build on her previous training in ubiquitin by moving into membrane-anchored E3 ubiquitin ligase complex. In the lab of Dr. Ron Kopito at Stanford University, she analyzed Hrd1 ERAD E3 ligase complex using genome-edited Hrd1-TAP knock-in mammalian cell (2011-2014). Due to a family reason, she moved to Baltimore and continued her postdoctoral training in Peter Espenshade’s lab at Johns Hopkins University. She investigated the molecular mechanism of yeast SREBP activation, which led to the identification of Golgi membrane-associated rhomboid Intramembrane protease in addition to the Dsc E3 ubiquitin ligase in the pathway (2014-2017). Her current projects In the Baldridge lab is to identify endogenous Hrd1 substrates and to investigate the properties of Hrd1 using single-molecule approach. Quality Control in the Endoplasmic Reticulum: Crosstalk between ERAD and UPR pathways. Characterization of protein complexes of the endoplasmic reticulum-associated degradation E3 ubiquitin ligase Hrd1. Proximity-dependent biotin labelling in yeast using the engineered ascorbate peroxidase APEX2. A Golgi rhomboid protease Rbd2 recruits Cdc48 to cleave yeast SREBP. Ubiquitin-independent proteasomal degradation of tumor suppressors by human cytomegalovirus pp71 requires the 19S regulatory particle. Elongin B-mediated epigenetic alteration of viral chromatin correlates with efficient human cytomegalovirus gene expression and replication. Ubiquitin-independent proteasomal degradation during oncogenic viral infections. In vivo analysis of protein sumoylation induced by a viral protein: Detection of HCMV pp71-induced Daxx sumoylation. Human cytomegalovirus protein pp71 induces Daxx SUMOylation. TIP120A associates with cullins and modulates ubiquitin ligase activity. TIP120A associates with unneddylated cullin 1 and regulates its neddylation.